Located on a narrow barrier island on Florida’s west coast, this four-block-long boulevard comprises the largest public green space in Boca Grande’s historic core. 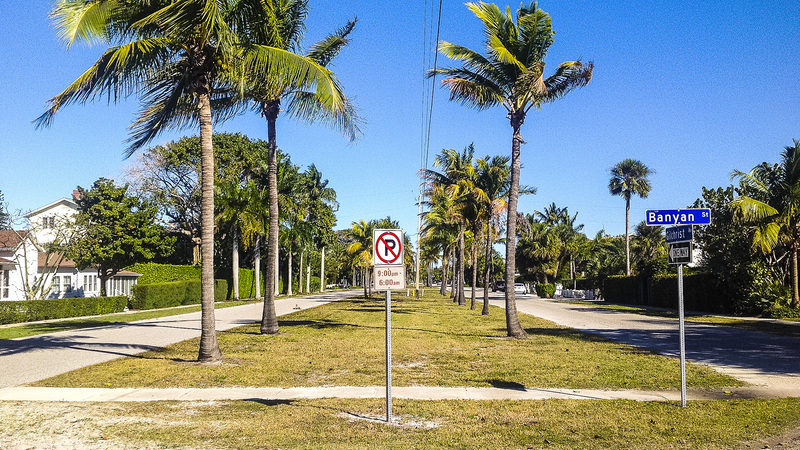 Platted in 1897 by Florida’s future governor Albert Gilchrist, the north-south boulevard bordered on both sides by expansive residential lots ran parallel to the beach and provided views of the Gulf of Mexico. In 1911 Gilchrist’s Boca Grande Land Company hired Carl Rust Parker, on hiatus from the Olmsted firm, to design the landscape for the luxury resort. 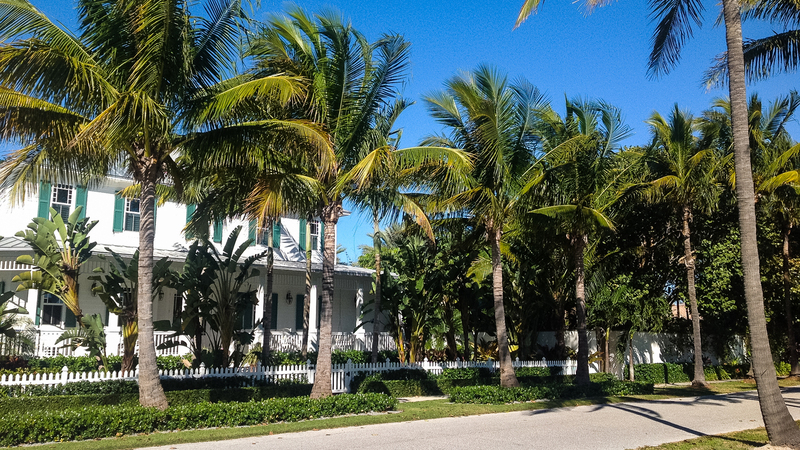 Improving upon Gilchrist’s concept by providing a coherent and unique design that set it apart from Boca Grande’s other roadways, Parker inserted a 40-foot-wide grass median and lined the street with coconut palms. Parker also recommended that commercial development be limited to the area surrounding the railroad station near the northern terminus of Gilchrist with the remainder of the island reserved for residential use. In 1924 Frederick Law Olmsted, Jr. visited the island and found that much of Parker’s plan had not been maintained. Olmsted called for the preservation of mangroves, recommended that the railroad station be relocated, and extended Boca Grande’s downtown with a four-mile-long picturesque road to the north of the island. 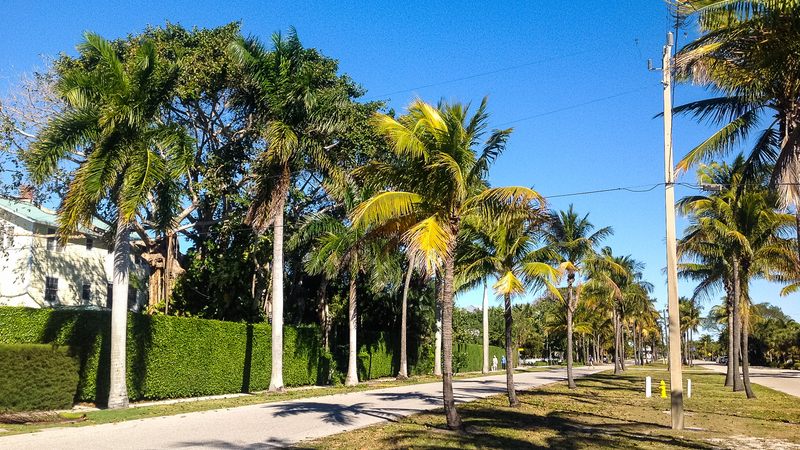 Working for Olmsted, William Lyman Phillips developed designs for Boca Grande’s streetscape and added a coconut palm allée and hibiscus to the median of Gilchrist Avenue. 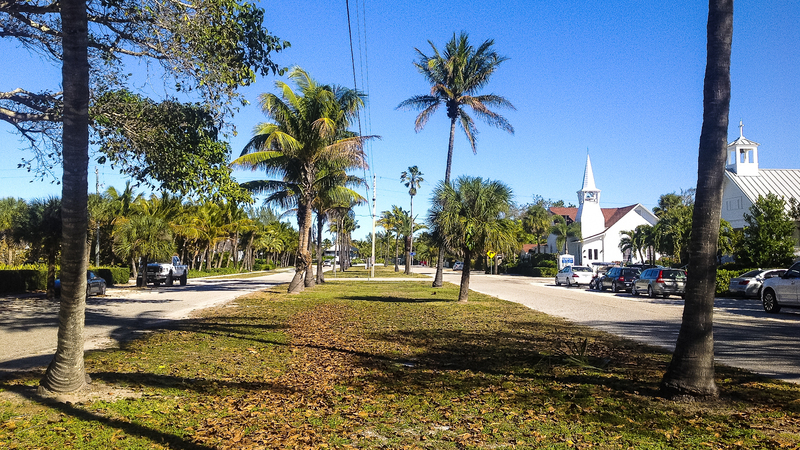 Though the median has not been well-maintained and is often used for automobile parking, Gilchrist Avenue forms the western border of the Downtown Boca Grande Historic District listed in the National Register of historic Places in 2011.